Baltimore-based artist Megan Lewis has been chosen to create new public artwork for the Penn-North Metro SubwayLink station. The inclusion of the artwork, which is intended to focus on the history and culture of the Penn-North community, is part of North Avenue Rising, a project that includes transportation investments across the North Avenue corridors and is supported by a U.S. Department of Transportation (USDOT) Transportation Investment Generating Economic Recovery (TIGER) grant. The North Avenue Rising will improve transit connectivity and accessibility along the East to West North Avenue corridor, while the investment in new artwork will improve the commuter experience within the station and provide visitors an opportunity for self-reflection. 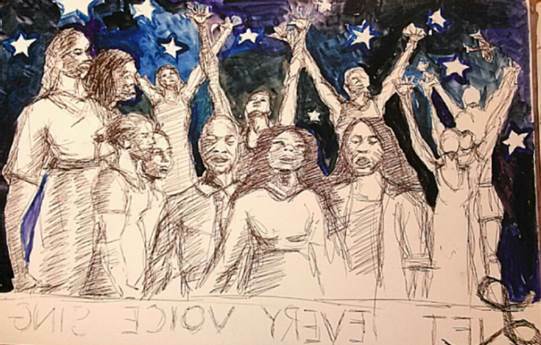 The artwork created by Lewis will be the first new artwork commissioned for the Baltimore Metro SubwayLink system since the stations were built more than 30 years ago, and will be the first artwork by a black woman artist commissioned for Maryland’s transit system. 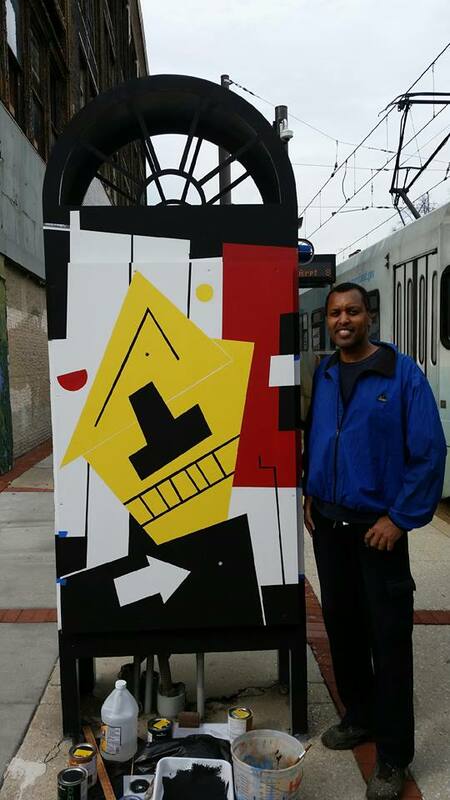 Lewis joins the ranks of artists like Romare Bearden, Patricia Alexander, Paul Daniels, Mary Ann Mears and others who have artwork commissions located along the Baltimore Metro SubwayLink line. The North Avenue Rising Penn-North Station project is Lewis’s first public art commission. 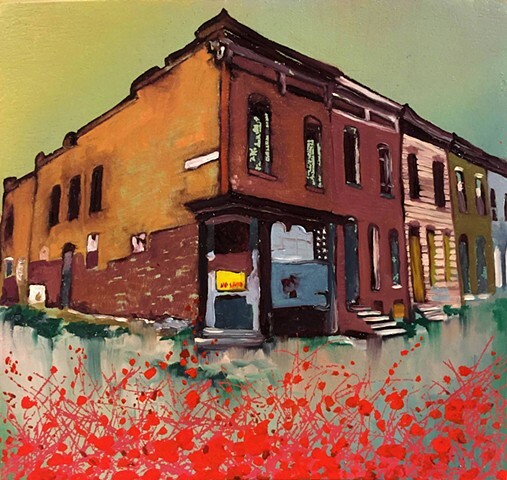 The artist has been an active and well-regarded member of Baltimore’s arts community. 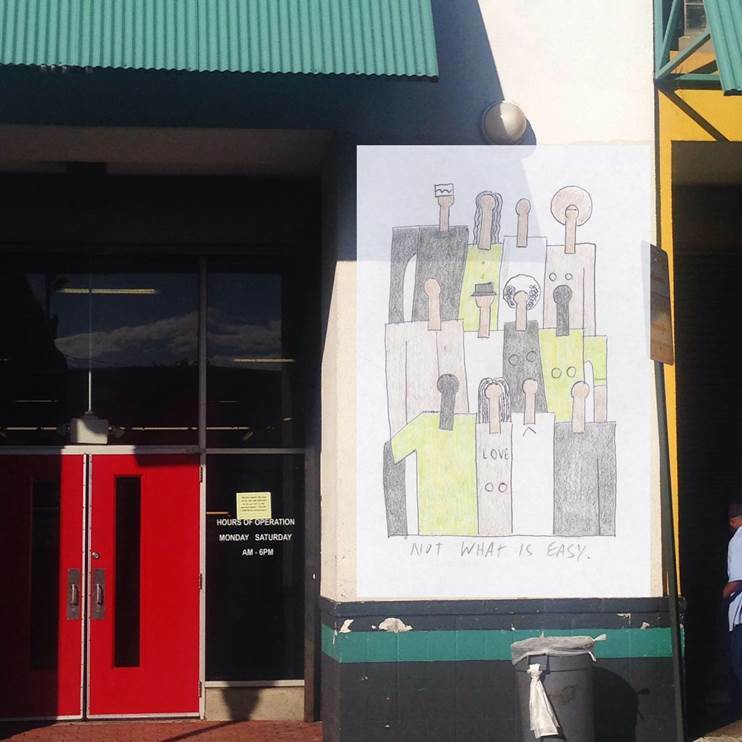 A past Greater Baltimore Cultural Alliance Urban Arts Leadership Fellow, Lewis began translating her work into public murals in the summer of 2015 through Art @ Work, an award-winning partnership between BOPA and Jubilee Arts. 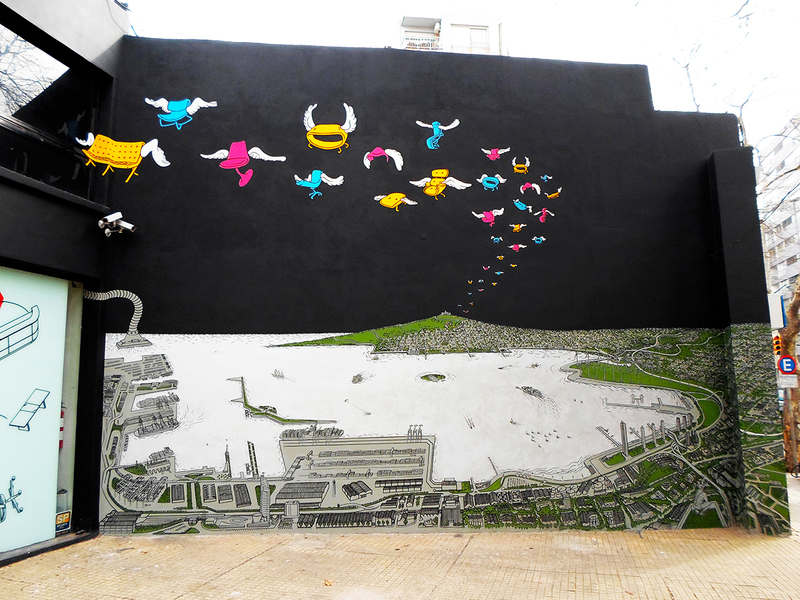 Since that time, she has been an Art @ Work teaching artist four years in a row, and has completed seven murals across the city. 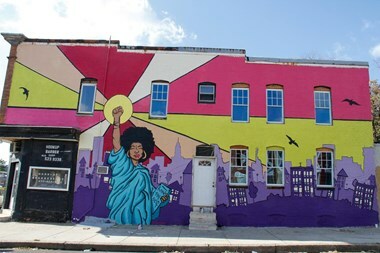 Her mural, Lady Liberty Please Know Thy Self, located at 1800 Baker Street, made national news when singer-songwriter Alicia Keys visited Baltimore for “Shining a Light: A Concert for Progress on Race in America” presented by A+E Networks. The artist will begin designing the artwork for the station this fall, with installation scheduled in 2020. Meet Lewis and hear about her creative process during an artist talk on Wednesday, October 24, 2018 from 6pm to 8pm at Arch Social Club, located at 2426 Pennsylvania Avenue, Baltimore, MD 21217. 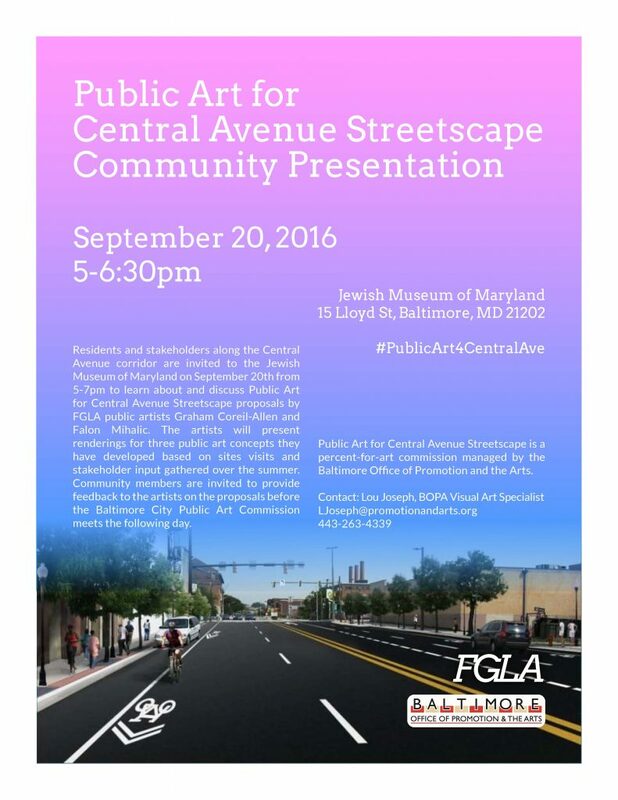 The event is hosted by Cultureworks and part of BOPA’s Free Fall Baltimore. More information on North Avenue Rising can be found at www.northavenuerising.com. 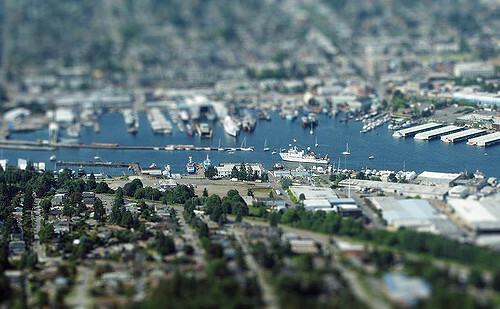 The Seattle Office of Arts & Culture (ARTS), in partnership with Seattle Public Utilities (SPU), seeks to commission an artist or artist team to create a site integrated or site specific artwork that is reflective of Coast Salish historic and cultural connections to the Salmon Bay and Shilshole areas for SPU’s Ship Canal Water Quality Project (SCWQP) Pump Station. The new pump station will be located at 24th Ave NW and Shilshole Ave NW in the Ballard neighborhood along the shoreline of Salmon Bay. The call is open to established professional artists residing in the United States and the Canadian Province of British Columbia. Students are not eligible to apply. 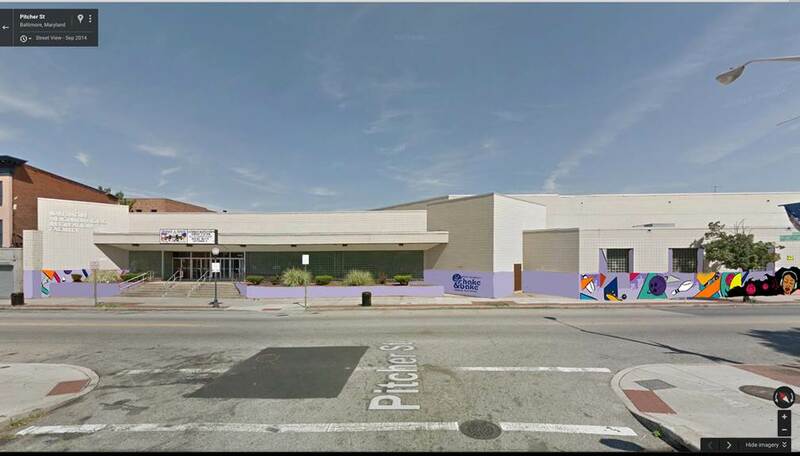 The Baltimore Office of Promotion & The Arts (BOPA) in collaboration with the Enoch Pratt Free Library and the Baltimore City Department of General Services seeks a professional artist or artist team to design and produce unique, site specific public artwork for the interior of the soon to be renovated, Enoch Pratt Hampden Branch. The planned renovations will retain the historic nature of building while bringing a more contemporary library layout and increasing accessibility. The renovations also include the addition of a community meeting space on the lowest floor of the building. 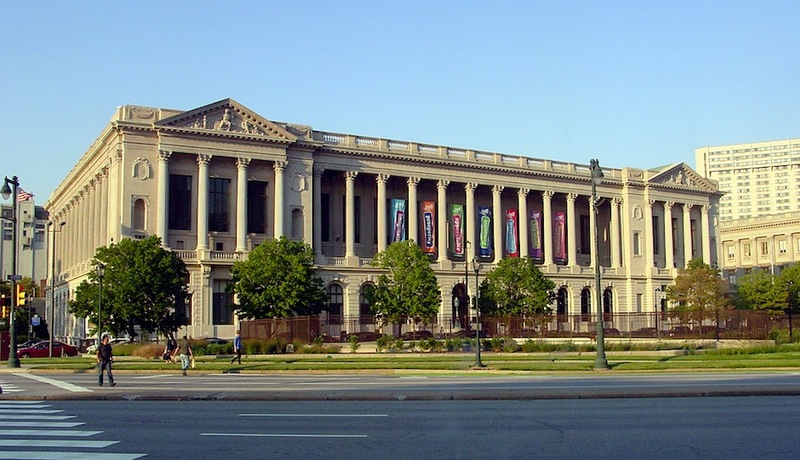 This request for qualifications, seeks to identify an experienced professional artist to design and create new work to be permanently installed at the branch, and become part of the City of Baltimore’s public art collection. ART @ WORK: Community Design Presentations! 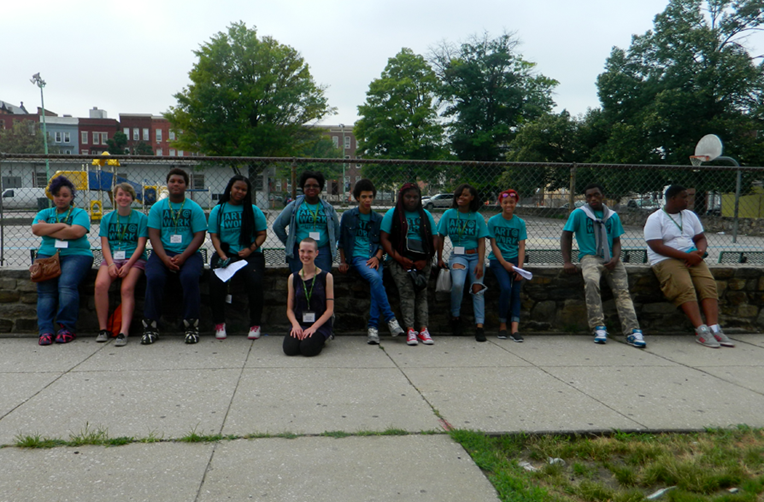 On Wednesday July 6th the youth artists of the mural artist apprenticeship program, Art @ Work: Upton, led a community design presentation where they presented their ideas for murals and mosaics, heard community feedback and shared how they came up with their designs. 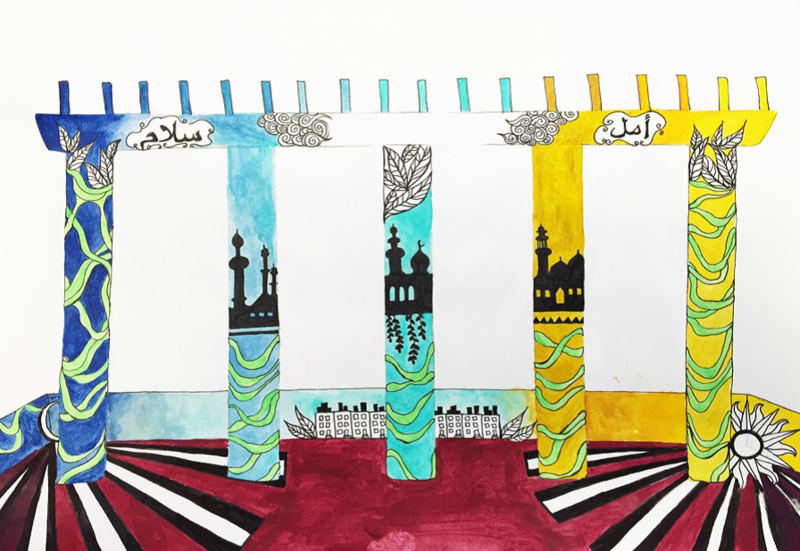 This summer, eight teams comprised of a lead artist, an artist intern, and ten youth apprentices enrolled in Youth Works will create public art projects along the Pennsylvania Avenue cultural corridor. For their design presentations, each team presented a team name, project location, and design inspiration and proposals. Check out the teams and some of their wonderful mural and mosaic design ideas! 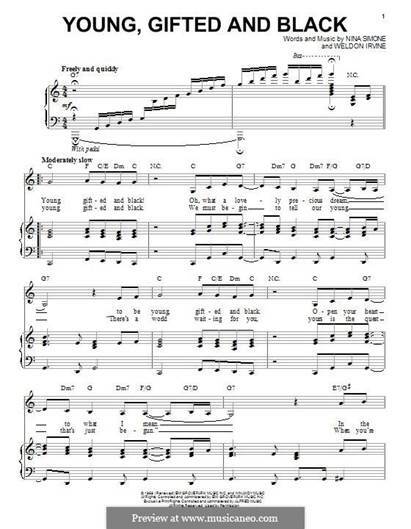 History: “It’s a big deal. This is a historic market, and the improvements are fantastic,” said the mayor. 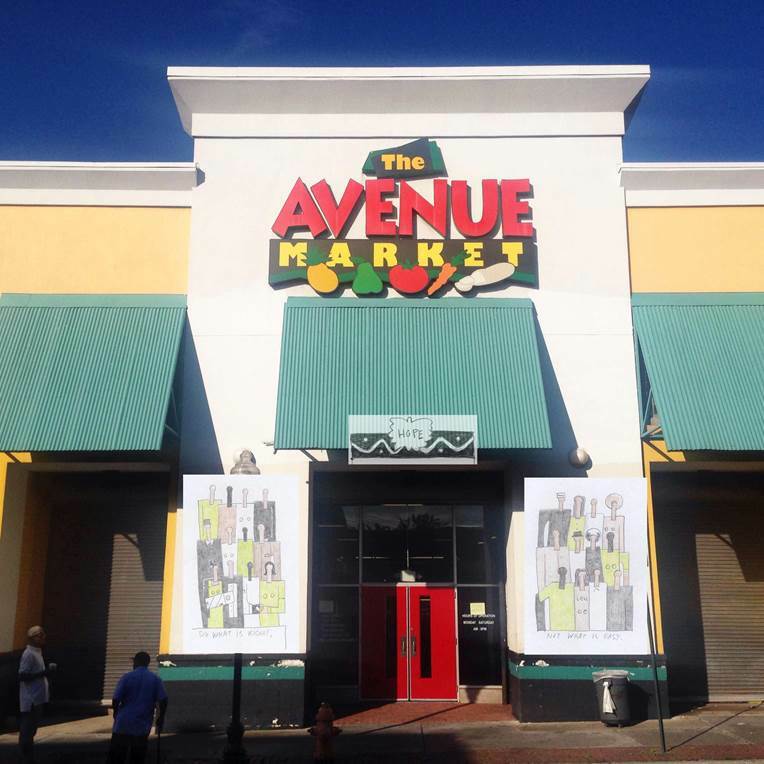 The Avenue Market was originally built in 1951. It’s the heart of the Upton, the different colors of the building brings joy to the community. Eutaw-Marshburn Elementary is located at 1624 Eutaw Place. 1900 block of Division St.
Our inspiration as a team was to beautify the neighborhood one house at a time showing hope, peace and that anything can be renewed. We want to take pride in our work and our hope of making new life. Business type: variety of shops and businesses including chicken places, Chinese food places, healthy smoothie shops, and check cashing places. We propose to portray a number of historic African Americans in addition to patrons and residents along the Pennsylvania Avenue corridor. Both sides of the storefronts on the 1800 Block of Pennsylvania. Design elements are inspired by the businesses that line the block and by the block itself. Local activity venue offering a roller skating rink, 32-lane bowling alley & video game arcade. Plays a large role in the community. The projects will be completed by the programs end on Friday July 29th, and the final products can be seen and celebrated by trolley tour that night at Shake & Bake from 6-9pm! 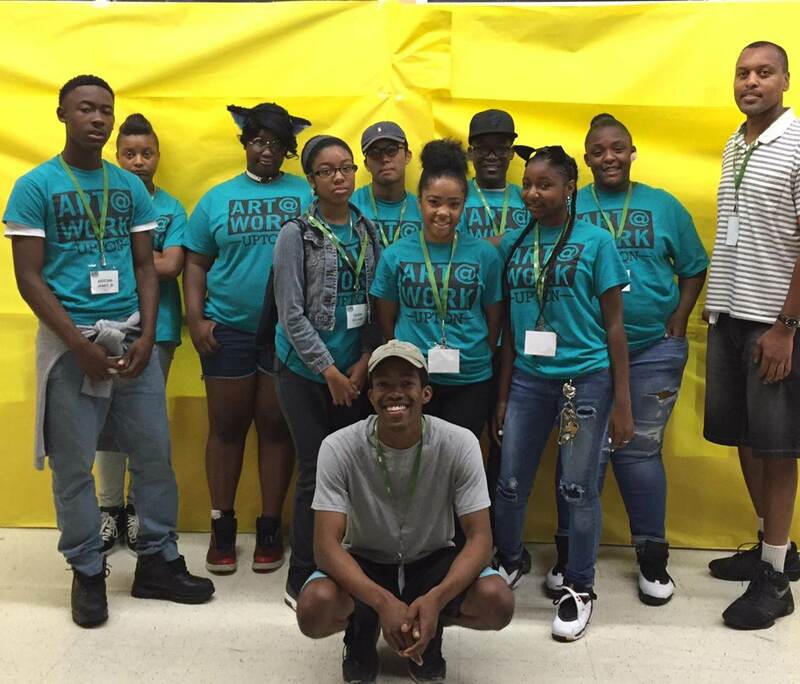 Art @ Work launched its pilot program in the summer of 2015 by the Baltimore Office of Promotion & The arts in partnership with Jubilee Arts in the neighborhood of Sandtown. It’s a five week program that brings together Baltimore City youth who are enrolled in the YouthWorks program and master teaching artists, to create 8 murals and mosaics throughout a selected neighborhood in Baltimore City. Art @ Work 2016 is taking place in the neighborhood of Upton, running from June 27th-July 29th. 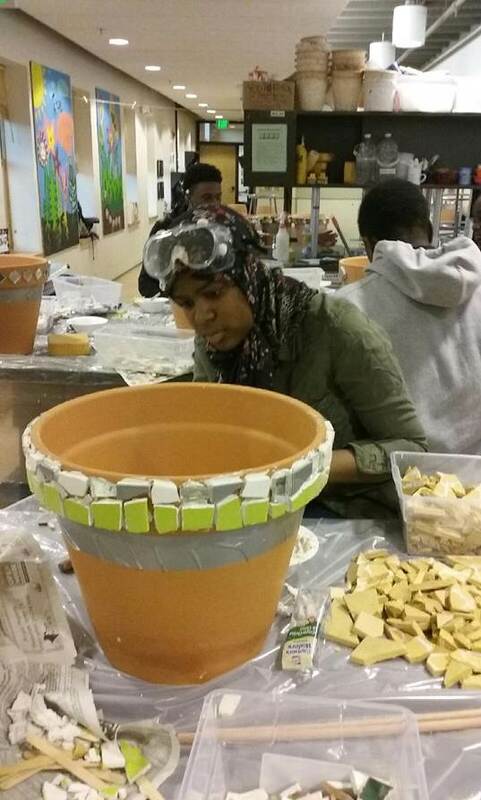 The program not only offers the youth of Baltimore career opportunities and an introduction to employment in the arts, but it also gives participants an opportunity to express themselves through art in a positive environment, while at the same time working to beautify and enhance their community. 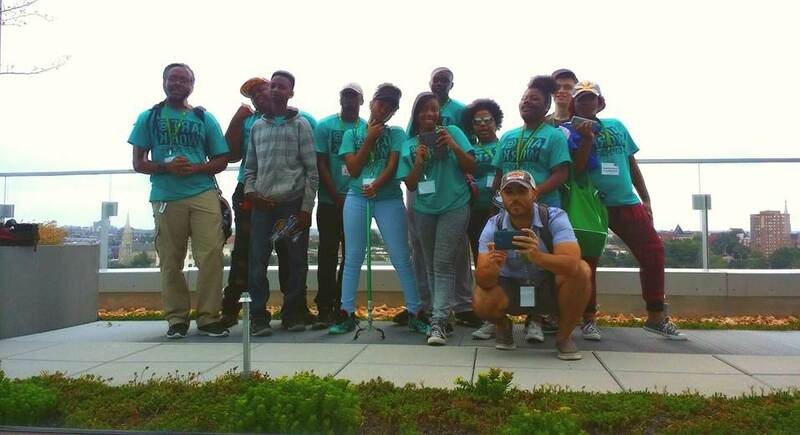 Youth participants will work in 8 groups of 10 alongside one professional artists and one intern, to canvas the neighborhood, develop designs, present their design proposals to the public, and bring their design ideas to fruition. The youth apprentices also receive soft skills in workforce development and financial literacy training, as well as leadership development in areas like public speaking, community activism, interview preparation, and resume writing. Thus Art @ Work also aims to help prepare and train participants to enter and flourish in the workforce. 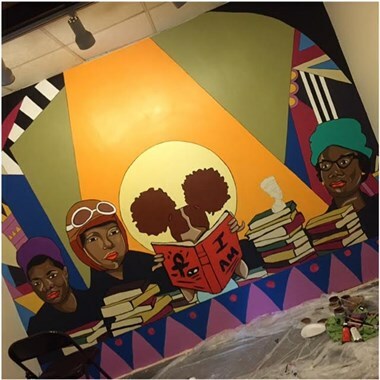 In its inaugural year, Art @ Work employed 80 of Baltimore youths, ages 14-21, and created 9 spectacular murals and mosaics in the neighborhood of Sandtown, under the apprenticeship of the master teaching artists. This year, 8 professional artists have been selected for the Upton program, many of whom are returnees from last summer, as well as some new faces, each Master with their own distinct and exciting artistic style. 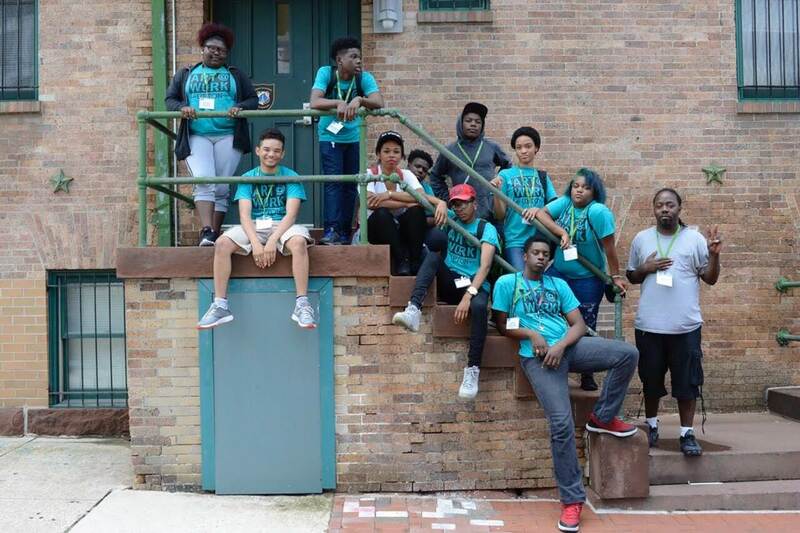 Ernest Shaw, one of the Master Teachers from the summer 2015 program in Sandtown, is excited and enthusiastic to come back this summer, and to have the opportunity to participate in such a successful and rewarding program once again. 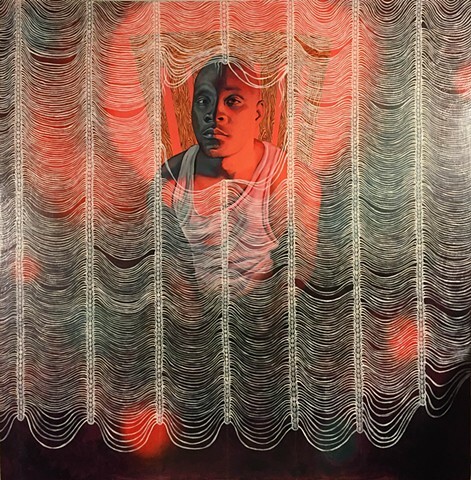 Shaw’s artwork is a creative endeavor to accurately reflect his upbringing and education in a visual way, and to grapple with the portrayal of African Americans in our society. Much of his art specifically works combat negative images and stereotypes of African people throughout the diaspora. “My mission and purpose is to illustrate the beauty of being an African in America while maintaining truthfulness and authenticity in the process.” A native to West Baltimore, Shaw is an experienced painter and muralist, who’s impressive, expressive, and vibrant works can be seen throughout his home city. 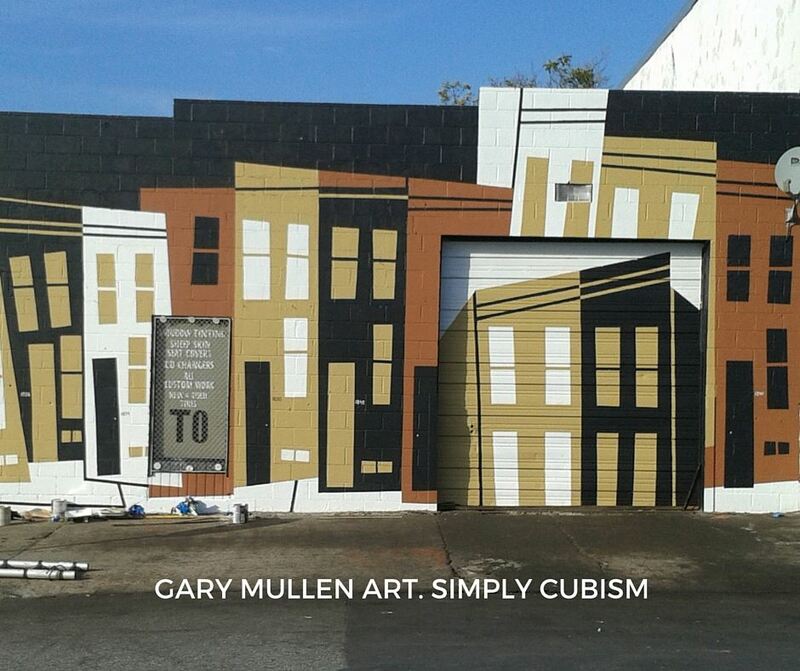 Gary Mullen, Mullen, another returning master teacher is an award winning artist who studied graphic design at Morgan State, Mullen refers to his unique panting style as Synthetic Cubism, which he developed through the study of genius artists like Pablo Picasso. 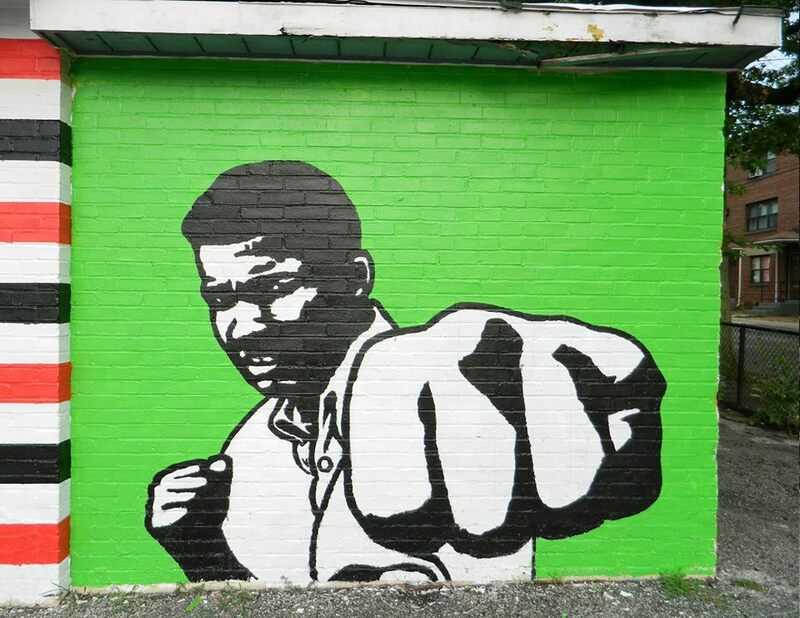 Mullen has painted several public murals throughout Baltimore City, which have been praised in The Baltimore Sun and other publications over the years. 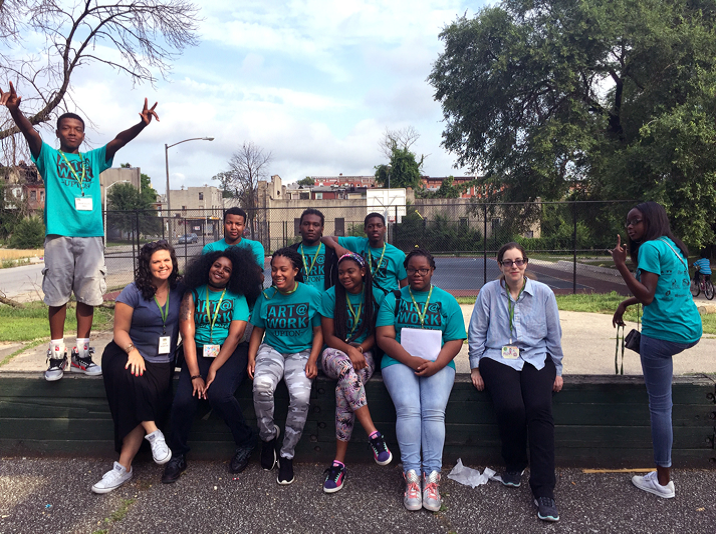 Last summer, Mullen greatly enjoyed being able to help the youth of Baltimore grow a deeper appreciation for art, as well as helping them improve their painting skills. 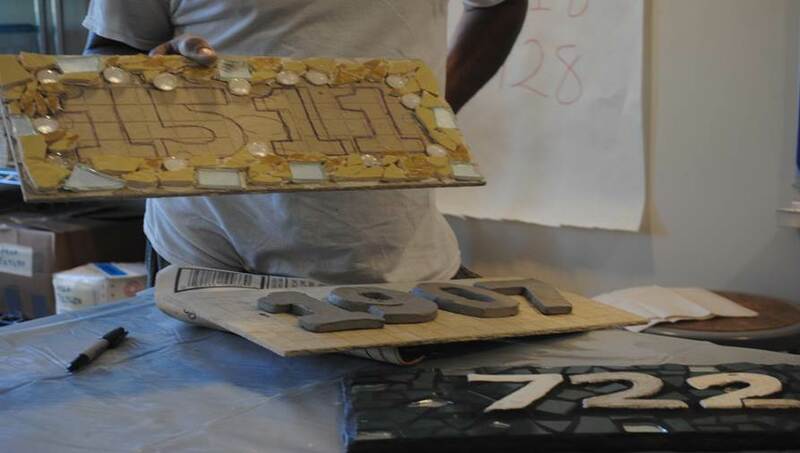 Herb Massie another returning Master Teacher and lifelong resident of Baltimore City, is a self-taught community based mosaic artist and sculptor. 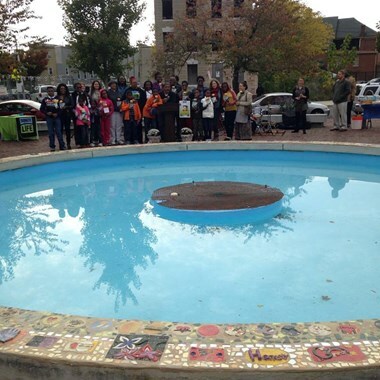 As director of community engagement for Baltimore Clayworks, and recipient of this years Sue Hess Maryland Arts Advocate of the Year Award, Massie has coordinated, led, and participated in several community art projects in and around the city including, Discovering Community: The History of East Baltimore and The Parkway Community mural, among others. Best known for his mosiacs and claywork, he is also a seasoned and celebrated teacher in art-making all around Baltimore. 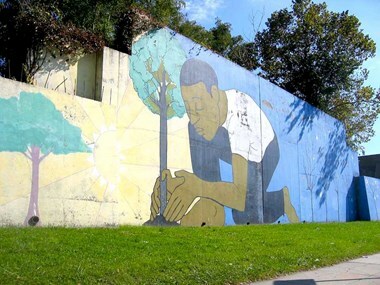 Iandry Randriamandroso, a Baltimore resident originally from Madagascar, is a muralist and community artist, specializing in graphic and mixed media art-making which focuses on subjects pertaining to the environment and social issues. 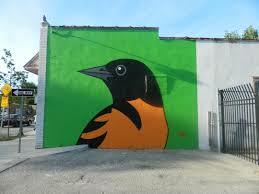 He has worked with Baltimore office of Promotion of the Arts before, both as a Master artist in last years Art @ Work program, and as the selected artist for the Bmore Birds Project, for which he created several large scale public murals depicting the local birds of Maryland. 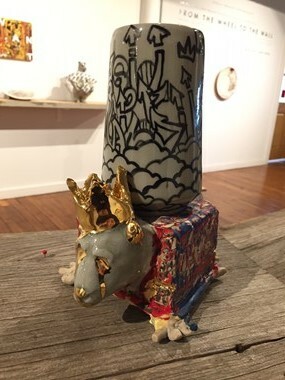 Randriamandroso works to use art as an educational tool to facilitate inclusive and hands on presentation, and creates works that are accessible to everyone and engage the community. 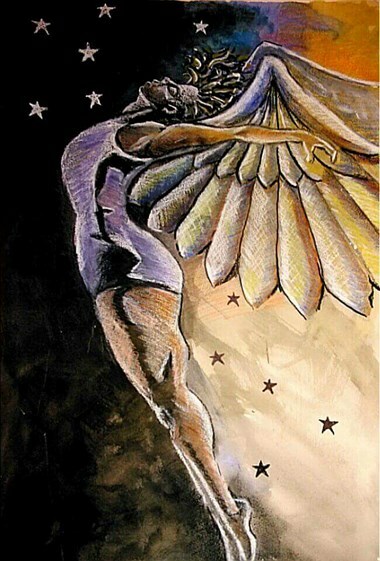 Ignacio Mariño Larrique is Uruguayan a Miami based artist who specializes in murals and symbolism. He engages the community in his art by creating customized holistic art works. 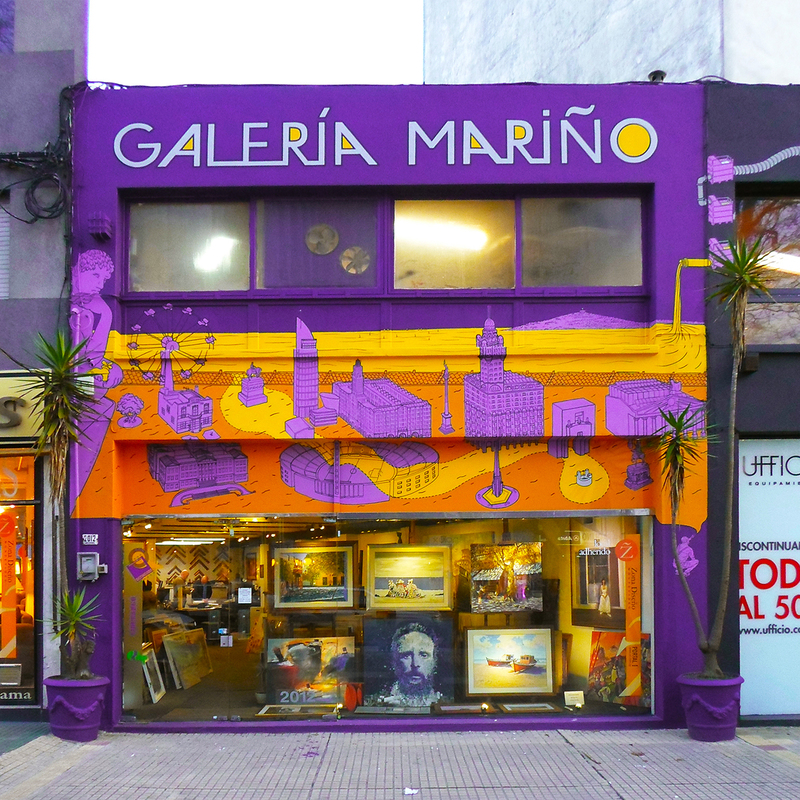 Mariño Larrique has also worked as a painting teacher and a volunteer artist, working to improve cities and public buildings by creating vibrant and intricate murals on their facades. Megan Lewis, a professional illustrator, utilizes a variety of mediums in her array of dynamic and colorful artwork. She works to create images that focuses on stories reflecting a critical view of social, historical, and cultural issues. 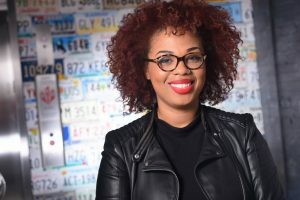 Currently she is living in her hometown of Baltimore and works as a freelance artist. Another returning Master artist, in the past year Lewis has gained experience teaching and painting murals and learning how to effectively teach art to youth to ensure each participant gets the most benefit possible from the Art @ Work program. 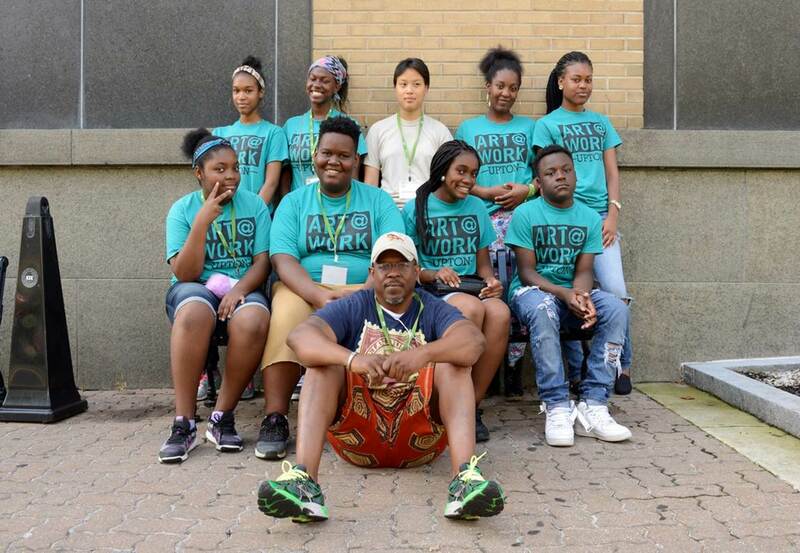 He is a returning Master Teacher for Art @ Work and looks forward to an equally successful and enriching experience with the youth of Baltimore as he experienced last year. 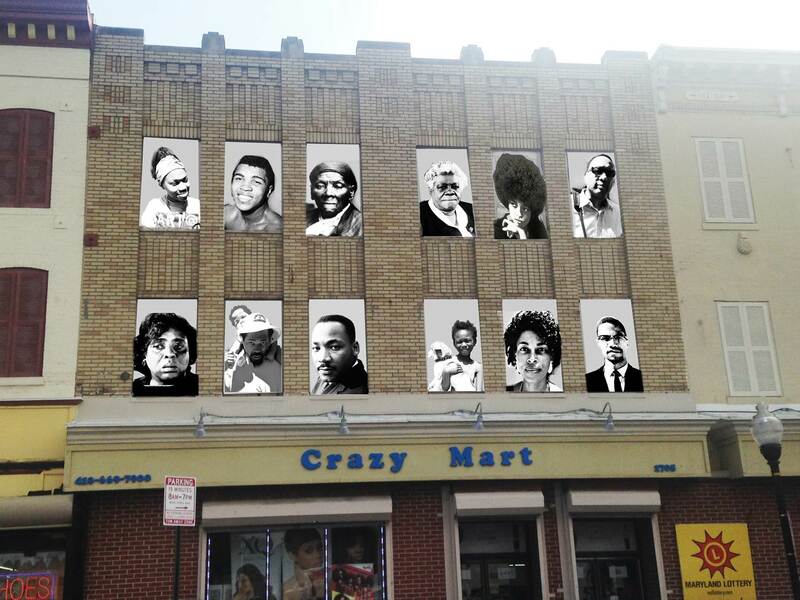 This summer, each of the eight teams teams will create public murals and mosaics along the Pennsylvania Avenue cultural corridor at sites including: Shake & Bake Family Fun Center, The Avenue Market, Sissy’s Seafood, Lafayette Market, Crazy Beauty Mart, Etting & Wilson Park, Eutaw Marshburn Elementary School and the 1900 block of Division Street. 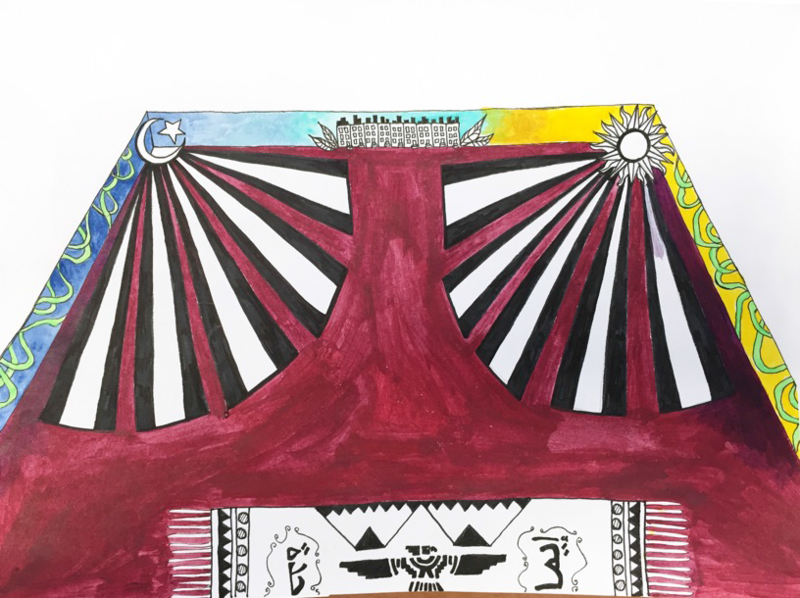 On Wednesday July 6th from 6-9pm the youth artists led a community design presentation to present their project ideas at the Shake & Bake Family Fun Center. We are all eager and excited to see the designs the masters and apprentices come up, and how these projects will materialize over the next several weeks, until the program is completed. On July 29th, the the completion of the program will be celebrated and viewed with trolley tours at Shake & Bake from 6-9pm. 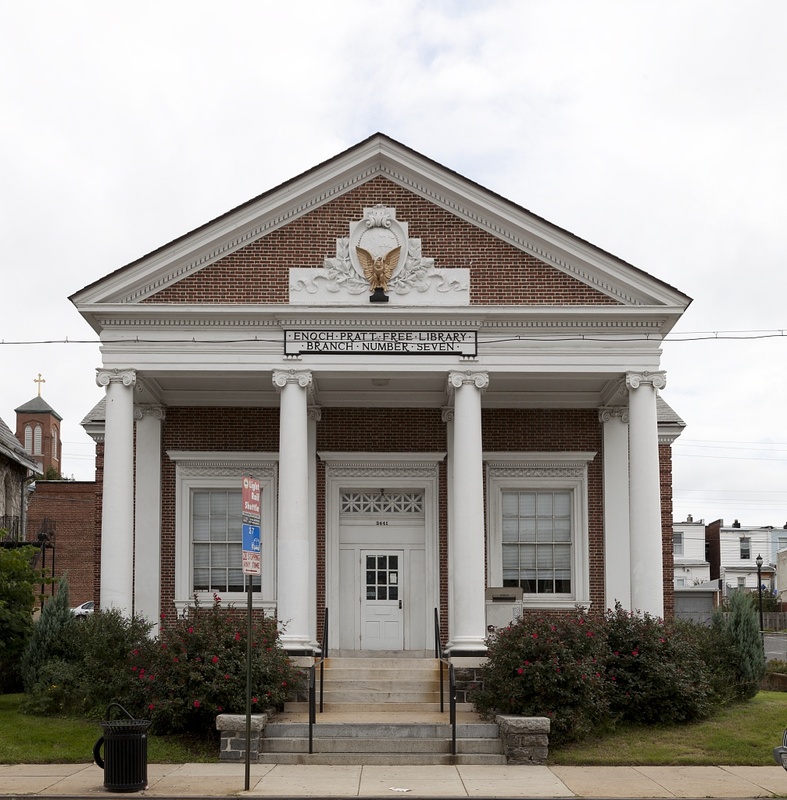 The City of Philadelphia’s Percent for Art Program, through the Office of Arts, Culture and the Creative Economy announces a public art competition to commission an interior site-specific artwork for The Free Library of Philadelphia’s main branch at Parkway Central. This commission is part of a $36 million major project renovation. A budget of $50,000 has been allocated for this Percent for Art commission. This sum is inclusive of all artist(s) fees, insurance, fabrication, installation, travel, and all other project related expenses.